Jasmine is a Louisiana native with a passion for impacting lives and communities through faith, service, leadership and education. After earning a Master of Science in Public Relations from The University of Southern Mississippi she moved to Southern California to begin her professional career with the Inland Empire United Way. Jasmine joined the Lion pack at Southeastern Louisiana University after graduating from Franklinton High School in 2011. 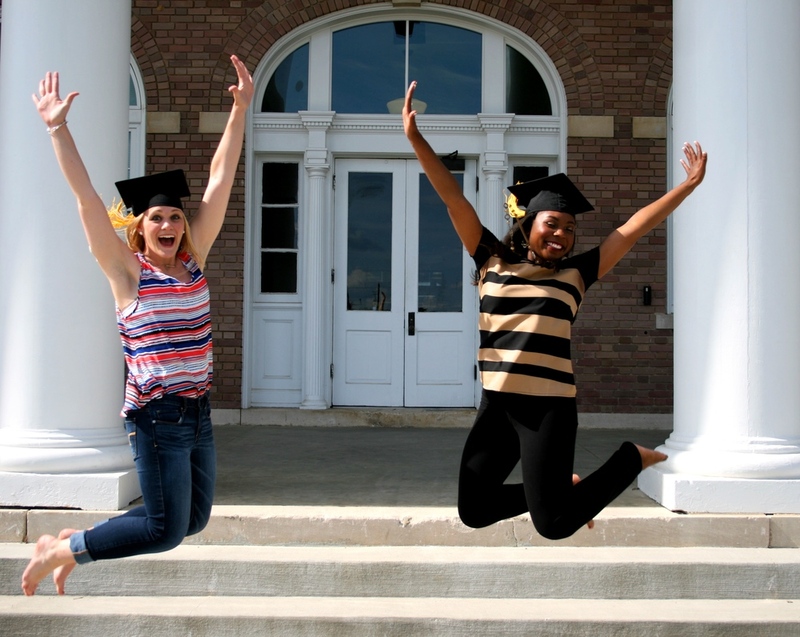 As Hammond became her home away from home she immersed herself in activities and organizations at the university and in the community. Jasmine earned a Bachelor of Arts in Communication in December 2014 and transitioned into graduate school shortly after. She is no stranger to hard work, dedication and perseverance. Within seven semesters at Southeastern she founded the university's chapter of the Public Relations Student Society of America, fulfilled several editorial positions in the office of student publications, represented her peers on the 2014 Homecoming Court and was recognized in three competitions in the 2014 Miss Southeastern Louisiana University Scholarship Pageant. Jasmine also earned consecutive Who's Who Among Students in American Colleges and Universities honors during her final undergraduate years and received the 2014 Vice President's Award For Student Excellence. The Alumni Association rewarded her efforts and contributions to Southeastern and the community in recognizing her as the 2014 Dr. LaVanner S. Brown Role Model of the Year honoree and scholarship recipient. At the end of her graduate career, PRSSA awarded Jasmine with the highest honor bestowed upon members selecting her as a recipient of the National Gold Key Award. She also earned the National President's Citation and led USM to their first Star Chapter Award. A cheerleader at heart, her energy and pride for her educational institutions, communities and causes she feels important is shown wherever she goes. When Jasmine is not writing, volunteering in the community or preparing for the next professional development opportunity, she enjoys spending time with her family, baking, yoga and athletic events. She attributes her successes to that of service... "to her communities, her profession and her God." Jasmine and cheerleaders from Franklinton Jr. High come together for a huddle prior to a Play 60 Pep Rally featuring Lance Frank, New Orleans Saints. USM PRSSA participates in The Big Event, a day of service at Southeastern Louisiana University and in the Hammond community. SLU PRSSA volunteers for the Louisiana Children's Discovery Center's 1st annual Chocolate Festival. Jasmine poses with PRSSA members, Maria Goddard and Jada Davis, at the 2014 Relay For Life. Jasmine poses with SLU President John L. Crain and VP of Student Affairs, Marvin L. Yates. Jasmine enjoys Homecoming festivities with Jim McHodgkins and Dr. Wendy Lauderdale. PRSSA members join Jasmine in presenting her senior thesis at the bi-annual colloquium presentation. Jasmine poses with Dr. Joseph Mirando, mentor and PRSSA adviser, following her colloquium presentation. USM PRSSA explore PR in Gulf Port, MS.
USM PRSSA makes a stop at the World's Largest Rocking Chair before networking with PR professionals on the MS. Gulf Coast. Jasmine visits Southeastern to recruit student teams and participants for the 2015 Relay For Life. Jasmine and her sister, Jaslyn, prepare for the 2015 relay at North Oak Park in Hammond, LA. Kohl's "Associates in Action" contribute service hours for the 2016 Children's Center 5k Classic. Jasmine and her coworker, Marie collect a Nestle Donation for the IEUW Kids Pack Program. The ladies of IEUW come together for a photo during the 2017 IEUW United for Kids Golf Tournament. 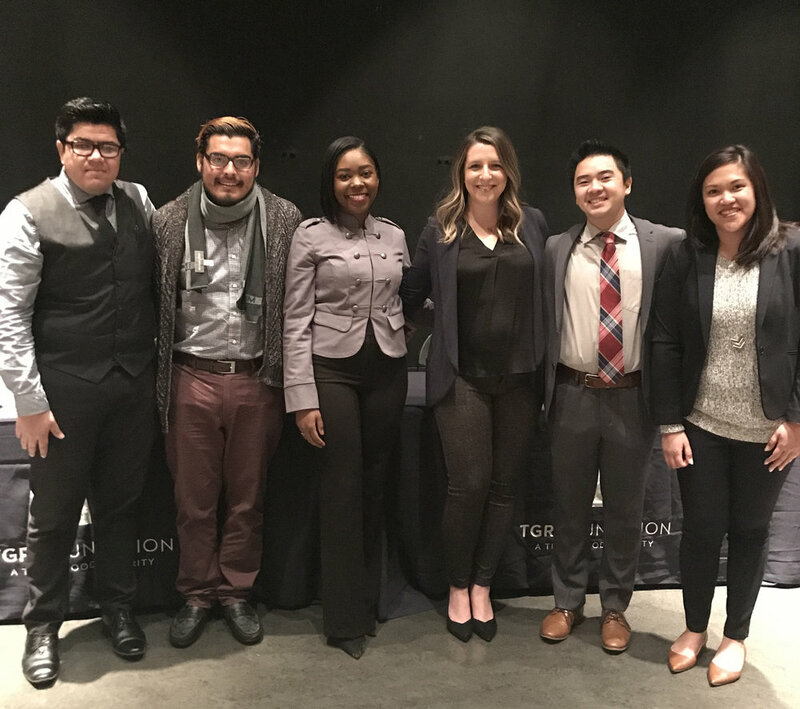 Jasmine joined half a dozen young professionals in Anaheim, CA to participate in the TGR Foundation’s 9th Annual Earl Woods Scholar Program Winter Workshop. 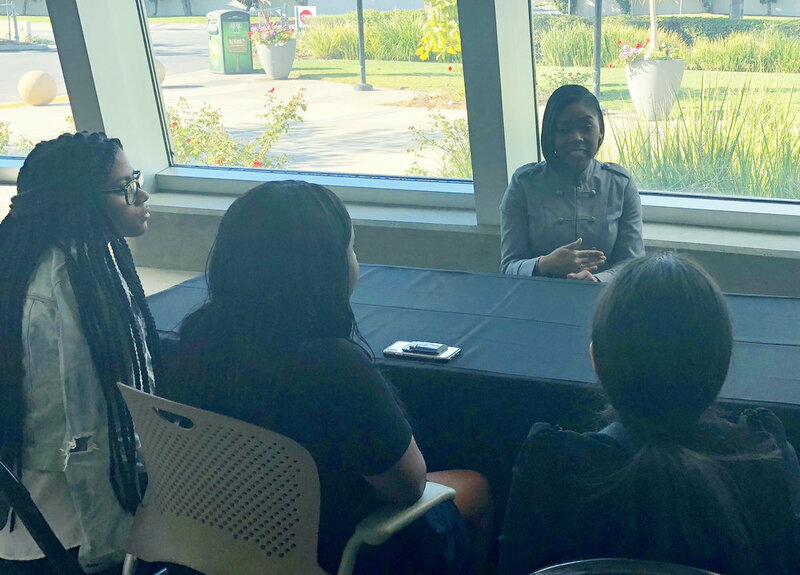 After participating in the Young Professionals Panel, Jasmine sat down with a students to share additional advice and answer questions.